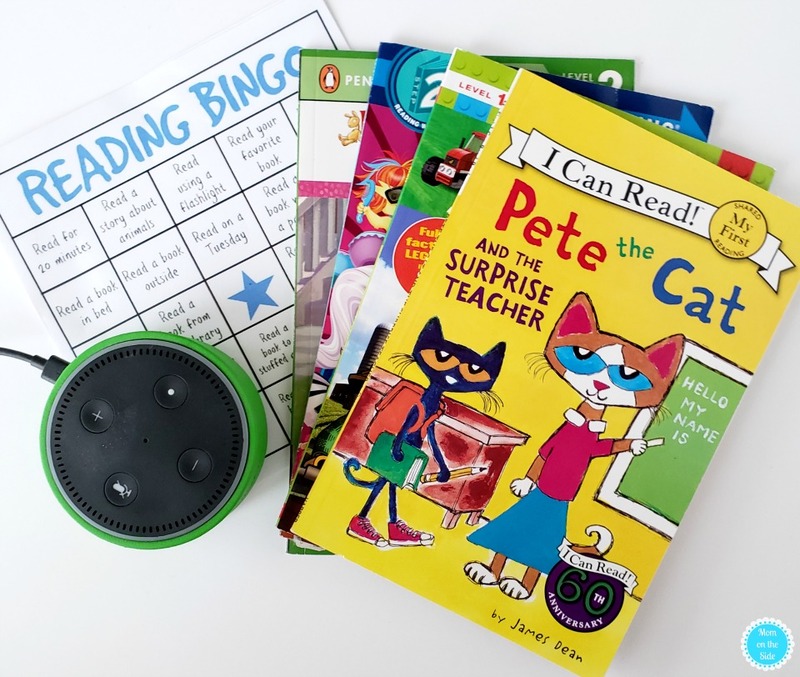 March is National Reading Month and the perfect time to encourage reading with a fun printable Reading BINGO card for kids and the chance to WIN an Echo Dot Kids Edition! All of my kids enjoy books but only one truly loves to read. She would pick diving into a book over pretty much all other activities. My other three kids need a little encouragement to read, especially the twins. While they still enjoy story time with me they have begun to request it less and less. Fun things like printable Reading BINGO gets little and big kids excited for books again. 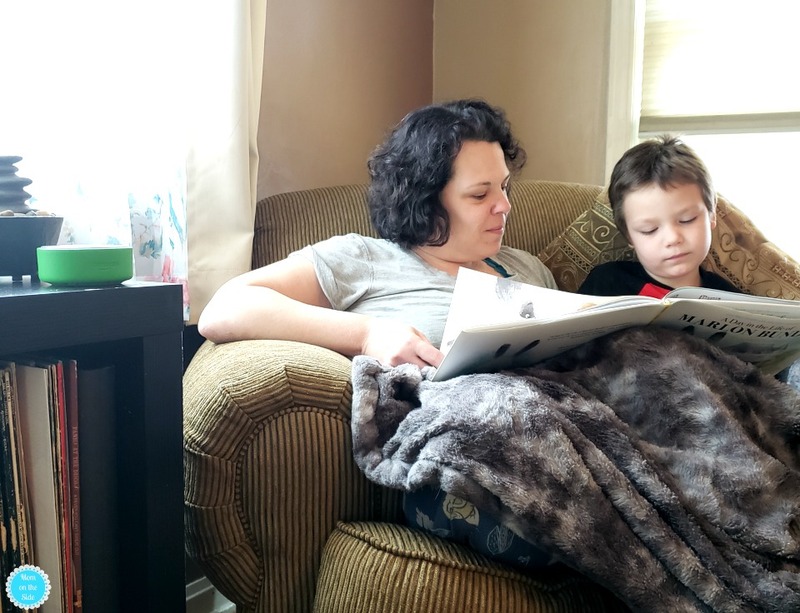 Reading BINGO has all kinds of different reading activities and once my kids get a BINGO they can choose to get a new book or an extra trip to the public library. 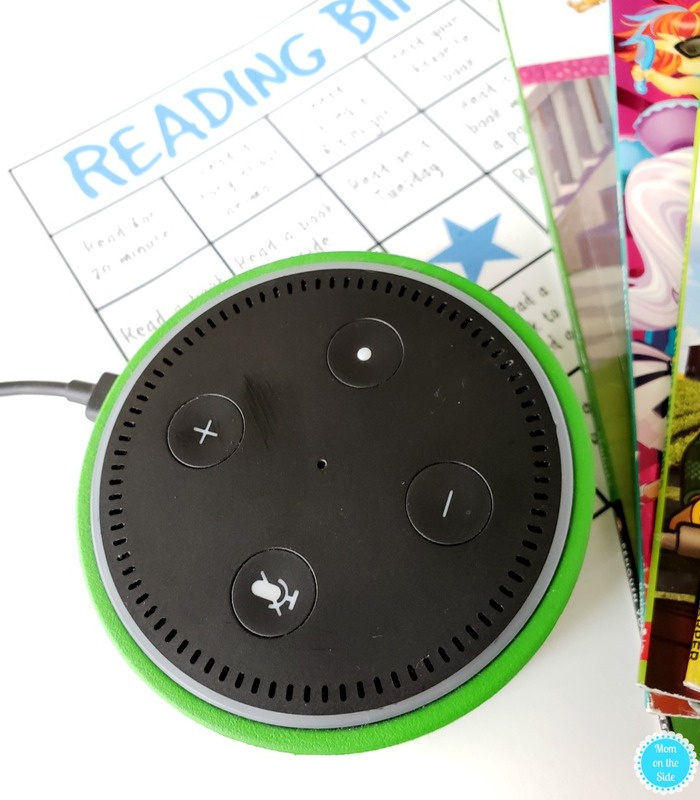 Activities include things like reading in a blanket fort, reading outside, and listening to audiobooks – something we love doing with our Echo Dot Kids Edition with FreeTime on Alexa. Kids have access to over 1,000 Audible books through FreeTime on Alexa. 1,000! Most of the time we just ask Alexa to read a story with Audible and she reads a random one. I also sat down with the twins and made a list of the books they liked from the list of available titles (you can find the list on Amazon) so we can ask Alexa to read a specific book. The Amazon Storytime Alexa Skill is another favorite feature of ours. I like being able to specifically request a bedtime story and the kids love to “spin the magic story wheel” for surprise stories. The interactive story adventure with Ripley’s Believe it or Not is one we HIGHLY recommend for your next storytime! Read in different places inside and outside of the home. Keep books in view so the kids see them and can access them on their own. Give books as gifts for birthdays and holidays. Attend local story time and book character events. Plan weekly or monthly visits to the public library. Find a series your child is interesting to help build their library as they get older. Let your children see you reading your own books. Listen to the audiobook of a book your child has and flip the pages along with the story. With the twins in kindergarten, learning to read is a huge part of their everyday life. They get so excited when they see words they know and their eyes light up when they sound out a new word correctly. I love seeing that spark light up in them and Alexa is a fun new way to ignite it. 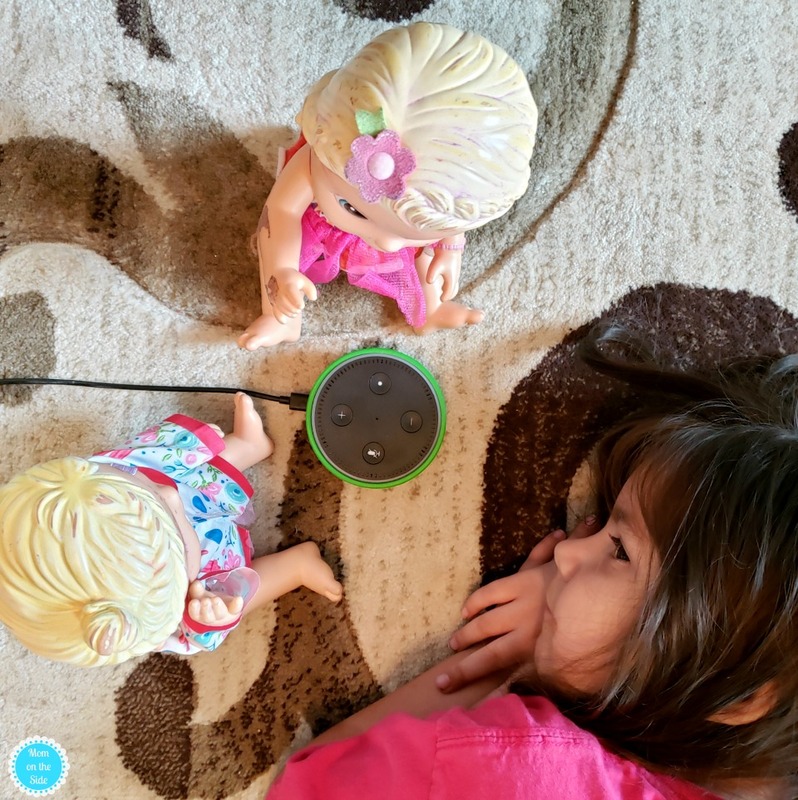 We are really loving all the fun and educational experiences Echo Dot Kids Edition with FreeTime on Alexa provides. All of us can get together for a story or game or dance party because the communal device makes it easy. I can plug it in anywhere for the kids to ask Alexa questions about science, math, spelling, definitions, or any other topic that take has taken over their curiosity at the moment. Another thing I love is the Parent Dashboard that allows me to set screentime limits, set character alarms, see what books and Alexa Skills my kids are reading and using and more. I love being able to quickly review what audiobooks are being listened to. It’s really helpful when choosing new books from book orders and for gifts because I can easily see what books they enjoy. If your kids are like mine, they will never get tired of Alexa and new content is always being added to keep the interest going. Speaking of interest, are you interested in the chance to WIN an Echo Dot?! Through April 3rd, 2019 you can enter for the chance to WIN 1 of 10 Echo Dots! Simply enter the Amazon Echo Dot Kids Edition Sweepstakes below.